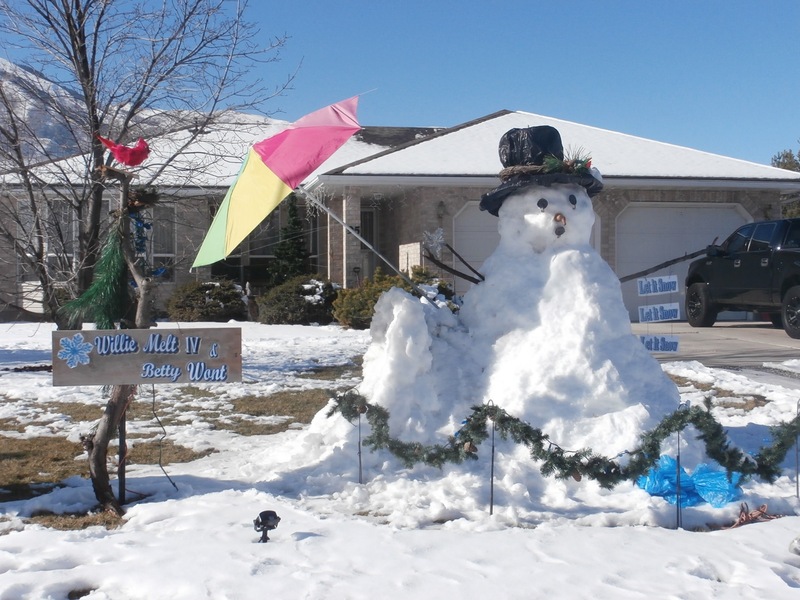 I caught sight of this snow sculpture of Willie Melt and Betty Wont while driving home from church on a fine, bright winter Sunday. I walked back later that afternoon to take some photos. 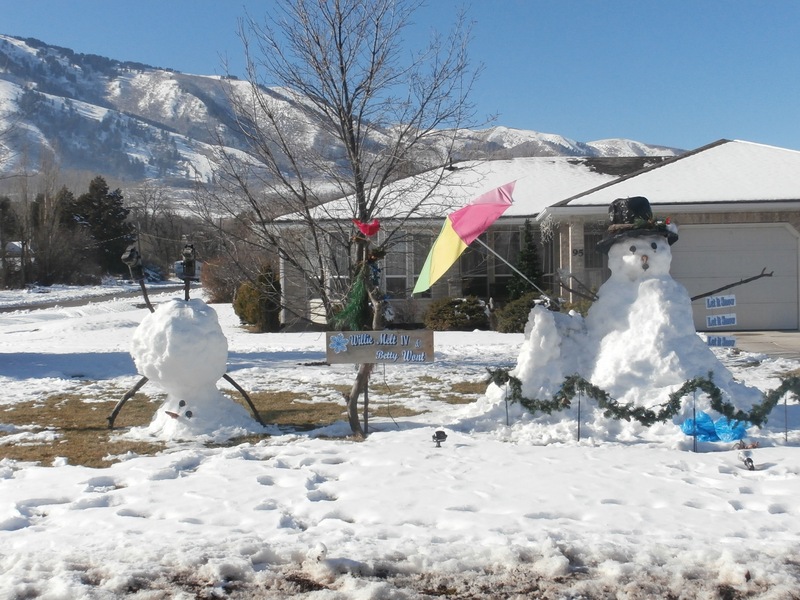 Apparently, this family has a long heritage of making snow sculptures, as you can see that one of the snowmen is not just Willie Melt, but Willie Melt the Fourth. 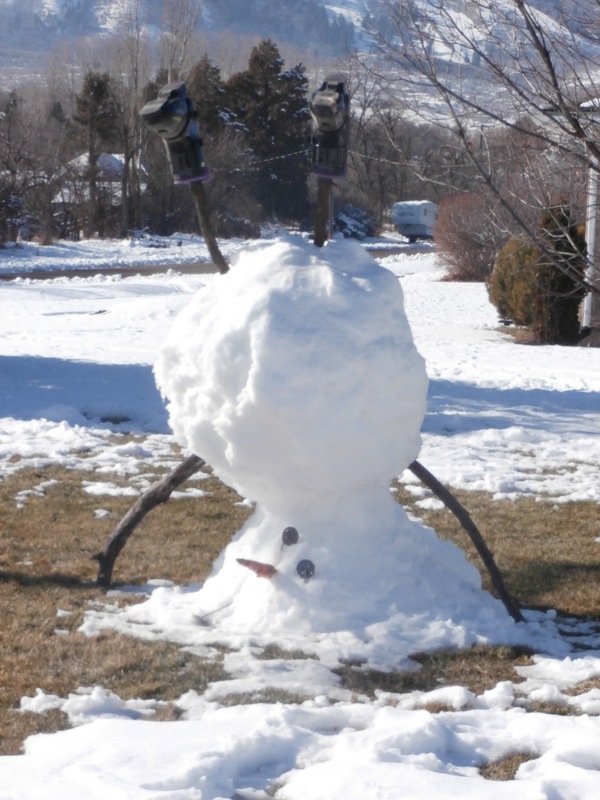 This entry was posted in Life!, Seeking a Sign and tagged snow sculpture, snowmen, yard art by tarvasalutes. Bookmark the permalink.